Look after skin with light, moisturising creams packed with natural ingredients. With summer upon us, it’s time to start thinking about the change in our skin and our summer skincare needs. From sweaty, greasy skin due to the hot, humid air to dry skin thanks to air-conditioning, our skin goes through a lot over the summer months. Our skin produces more oil in the hotter months than any other time of the year, so the heavier moisturisers we have been using over winter can start to feel too much for our skin. 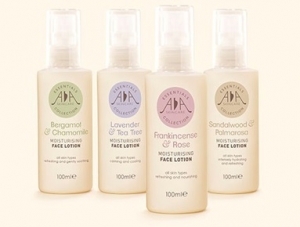 The AA Skincare Essentials Range of lotions are the perfect choice of moisturisers for summer. These light weight lotions are packed full of natural ingredients to help moisturise, protect and repair skin. Whether skin is dry and sensitive or suffers from regular breakouts, these carefully created exquisite blends not only smell divine but leave skin looking and feel hydrated and radiant. Bergamot & Chamomile Moisturising Face Lotion- This refreshingly gentle and soothing moisturising lotion is ideal for oily skin that is prone to breakouts and acne. Made with antiseptic and antibiotic Bergamot to help clear skin and stop bacteria from causing breakouts and Chamomile Essential Oil to help sooth redness and calm skin. Rosehip Oil has been added to help rejuvenate and regenerate skin and is high in Vitamin C as well as anti-inflammatory Lavender and Grapeseed. Lavender & Tea Tee Moisturising Face Lotion – This light-weight naturally antibacterial and antiseptic lotion not only moisturisers but helps to tone and restore skin too. Ideal for spot prone and blemished skin, Lavender essential oil helps to sooth and calm skin and has great anti-inflammatory and balancing properties on the skin. Tea Tree essential oils has great antiseptic, antibacterial and antifungal properties that can help clear and refresh skin. With added ingredients of Rosehip Oil to help rejuvenate and regenerate skin as well as Sunflower Oil which is high in Vitamin E that can help lock in moisture and keep skin feeling soft. Sandalwood & Palmarosa Moisturising Face Lotion - An intensely moisturising yet light-weight face lotion ideal for dry, damaged skin. Rejuvenating and regenerating Palmarosa promotes healthy cell growth helping to repair damaged to the skin caused by ageing and giving a more youthful glow. Sandalwood essential oil helps to soften and condition the skin and relieve irritated and dehydrated skin. With added Grapeseed Oil to help nourish skin and has great anti-inflammatory and antioxidant properties. Frankincense & Rose Moisturising Face Lotion – Our bestselling Face cream is now available in a lotion!! This rejuvenating and uplifting face lotion is suitable for dry, damaged and mature skin. If you are a lover of our Frankincense and Rose Face Cream but would prefer something a little lighter for summer then this lotion is the perfect choice. Rose Essential Oil can moisturise and hydrate skin as well as help with inflammation and redness on the skin. Rejuvenating Frankincense Essential Oil helps to tighten skin and slow down the signs of ageing. With added rejuvenating and regenerating Rosehip as well as Geranium Oil to help balance skin and keep in supple, a must have for youthful looking skin. 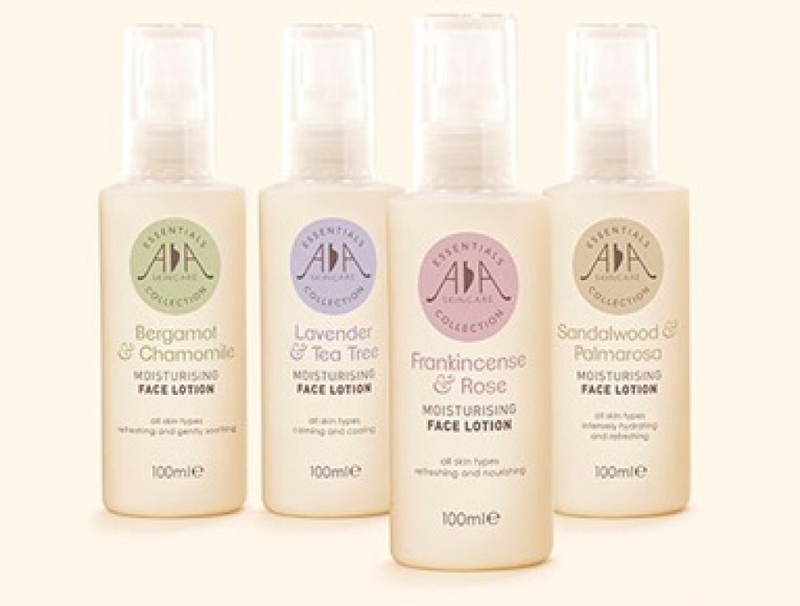 To find out more about these beautiful face lotions and their ingredients please visit http://www.aaskincare.co.uk/.